I miiiiight have some doubles stashed somewhere, but I'm not sure what's all there because I don't know where they are at the time. Mostly army builders because at one point I was doing that but eventually decided I wasn't happy with it. I know I also have a second Warrior Chrome Dome that's in decent condition somewhere. So many great figures! At least a half dozen I noticed immediately that I would like to add to my collection one day. 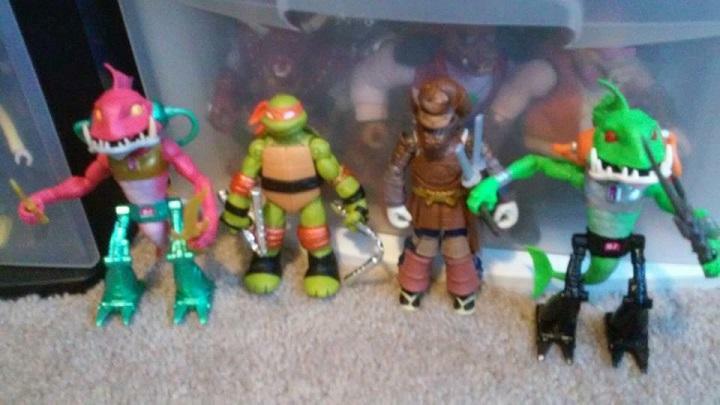 Is your Metal Mutant armor Leonardo the Japanese or USA release? I ask because I am curious if the Japanese release came with an exclusive mini-comic like all the Super Turtles boxed figures. Would love to see some better pictures of your bootleg Jim Lee Leonardo, you lucky dog. What's the quality like?